The Foundation is a conservation philanthropy organisation, working with the private sector and individuals who are looking to invest money in New Zealand’s natural heritage. Established in 2001, the New Zealand National Parks and Conservation Foundation is an independent charitable trust offering fund management services. The Foundation holds and invests donations and private sector funding, distributing funds to New Zealand-based conservation projects that meet their investment criteria. 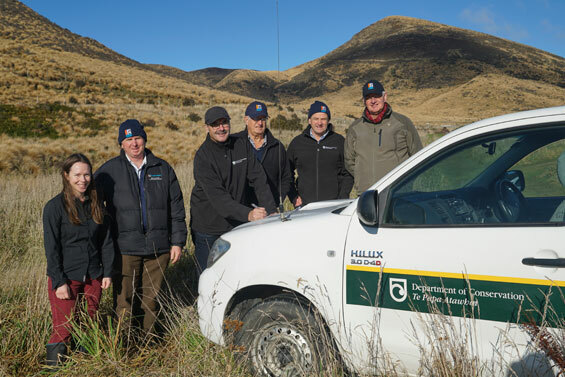 They offer independent assurance and accountability and have worked with DOC since 2001, supporting a number of conservation projects across New Zealand. New Zealand National Parks and Conservation Foundation website. Trampers crossing the Waiau Pass between Nelson Lakes National Park and St James Conservation Area will find the new 6-bunk hut Waiau Hut a welcome sight at the end of their 15 km trek. DOC and key partners are launching an art exhibition to raise awareness of the Tamatea/Dusky Sound restoration programme in Fiordland.